Insureds may not need the benefits from their long-term care insurance policies for many years after the policies are purchased. Add to this the fact that the cost of long-term care increases year after year. Thus, the amount of protection a policy provides when it is purchased may not fully cover the cost of care when that care is needed. For example, suppose an individual purchased a policy today that provides a daily benefit amount of $200. That amount was selected because it represents the current daily cost of a private nursing home room in the insured’s community. But what if the insured didn’t need to enter a nursing home for another 18 years? Assuming a 5 percent annual increase, the daily cost of a private nursing home room at that point would be $481. A long-term care insurance policy with a $200 daily benefit would not cover even half the cost of the client’s nursing home care. And if the benefits were needed in 25 years, when the cost of a private room in a nursing home is projected to be $677, it would cover less than a third of the insured’s cost. Inflation protection is an option that automatically increases a long-term care insurance policy’s benefit amount by a specified percentage or specified amount each year. This feature is so important that some states require inflation protection to be presented to an applicant for a long-term care insurance policy, and if it is rejected, the applicant must do so in writing. Simple—A simple inflation protection feature adjusts the policy’s daily benefit amount each year by the same amount. Compound—A compound inflation protection feature adjusts the policy’s daily benefit by a rate that is compounded every year. ​To illustrate, assume two individuals each purchase a long-term care policy that provides for a daily benefit amount of $100. The first insured elects to purchase a 5 percent simple inflation protection feature; the second chooses a 5 percent compound inflation protection feature. The daily benefit for Insured #1 will increase each year by $5; the daily benefit under Insured #2’s policy will increase each year at a 5 percent compounded rate. By year 20, Insured #1’s policy will provide a daily benefit of $195 and Insured #2’s policy will provide a daily benefit of $253. 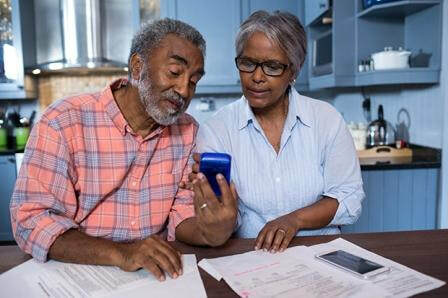 A simple inflation adjustment may be appropriate for older buyers, but younger buyers should consider adjustments compounded annually, because a good amount of time is likely to pass before a claim would be made and benefits were to begin. Long-term care insurance policies cover cognitive impairment. But what if a cognitive impairment causes an insured to let his or her long-term care coverage lapse unintentionally? It would be ironic if long-term care insurance policies did not have a feature that protected against such a possibility. Protection against unintentional lapse is provided by having the insured designate a third party—an adult child or an attorney, for example—whom the insurer can contact in the event a premium is not paid when due. The third party can then verify whether the lapse was intentional or not. If unintentional, steps can be taken to get the premium paid and ensure that the policy remains in force. Long-term care insurance policies generally offer or include a waiver of premium provision that allows an insured to stop paying premiums after a certain number of days of nursing home confinement or a certain number of daily benefit amounts have been paid. Waiver of premium means one less bill to pay during a period of increased expenses due to the need for long-term care services. A recurrent condition provision allows a relapse of a previous condition for which benefits were paid to be treated as a continuation of the original claim rather than a new claim. This removes the necessity for the insured to satisfy another elimination period before benefits can begin to be paid. To activate the recurrent condition provision, the relapse must occur within a certain period of time after benefits ceased under the original claim, such as 30 or 60 days.